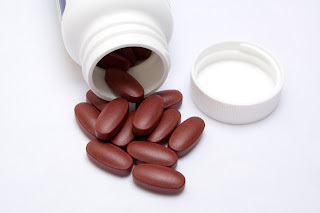 New research suggests that taking vitamin B supplements help reduce the risk of stroke. B Vitamins are a group of vitamins that help in cell metabolism. They help in the formation of red blood cells as well as turning food into energy and other needed substances. Each vitamin in the group are chemically distinct from each other and can be found in the same source. Vitamin B complex supplements are supplements that contain all eight vitamins in the group. Previously, there were more than eight vitamins in the group but were removed from the group as they were no longer considered to be vitamins. This explains the gaps found in the numbering system of the eight B vitamins (B1 (thiamine), B2 (riboflavin), B3 (niacin), B5 (pantothenic acid), B6 (pyridoxine), B7 (biotin), B9 (Folic Acid), and B12 (cobalamin). B vitamins can be sourced from proteins such as fish, poultry, meat, eggs, and dairy products. Leafy green vegetables, beans, and peas also have B vitamins. Many cereals and some breads have added B vitamins. New evidence suggests that taking vitamin B supplements may help reduce the risk of stroke. The research appears in the September 18, 2013, online issue of Neurology®, the medical journal of the American Academy of Neurology. "Previous studies have conflicting findings regarding the use of vitamin B supplements and stroke or heart attack," said author Xu Yuming, with Zhengzhou University in Zhengzhou, China. "Some studies have even suggested that the supplements may increase the risk of these events." For the research, scientists analyzed 14 randomized clinical trials with a total of 54,913 participants. All of the studies compared B vitamin use with a placebo or a very low-dose B vitamin. Participants were then followed for a minimum of six months. There were 2,471 strokes throughout the studies, all of which showed some benefit of taking vitamin B.
Vitamin B lowered the risk of stroke in the studies overall by seven percent. However, taking supplements did not appear to affect the severity of strokes or risk of death from stroke. Folic acid, a supplemental form of folate (vitamin B9), which is often found in fortified cereals, appeared to reduce the effect of vitamin B. Researchers did not find a reduction in stroke risk for vitamin B12. "Based on our results, the ability of vitamin B to reduce stroke risk may be influenced by a number of other factors such as the body's absorption rate, the amount of folic acid or vitamin B12 concentration in the blood, and whether a person has kidney disease or high blood pressure," said Yuming. "Before you begin taking any supplements, you should always talk to your doctor."